December | 2013 | chit. chaat. chew. Can you tell I’m obsessed with quinoa yet? When it comes to quick and easy weeknight meals, it is my go-to pantry staple. Despite what it might look like, it is not the only thing I eat but it sure is a favorite. Quinoa can get boring when you use it as a replacement for rice, incorporate it into a salad, or find yourself rotating the same recipes each week. So quite obviously, I am always on the hunt for a new and fun recipe to try. Enter: quinoa jambalaya. Nutrients, seafood, and spice…what’s not to love?! 1.) Heat EVOO in a large, nonstick skillet over medium heat. 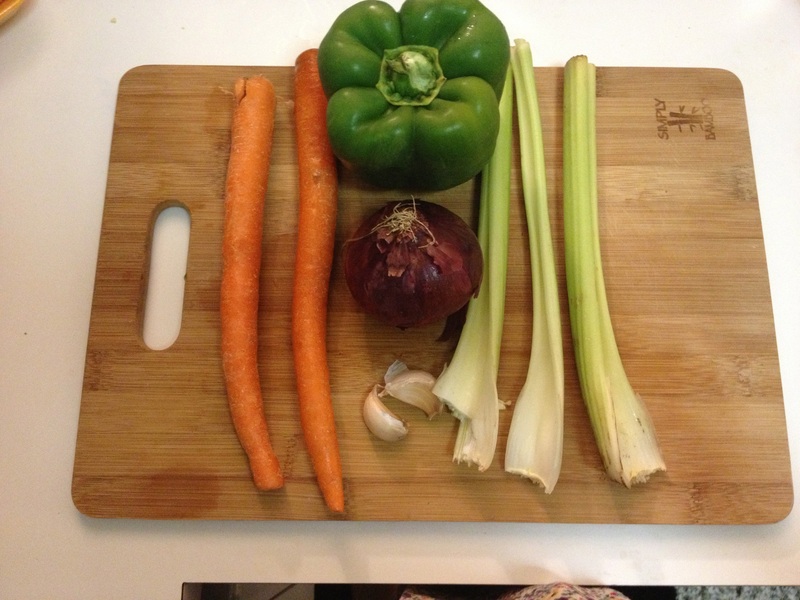 Cook in a cast iron skillet over a medium heat – chuck in the onion, pepper, celery and carrots down. This should take about 5-7 minutes. Make sure you sitr occasionally to avoid the vegetables from burning. 2.) 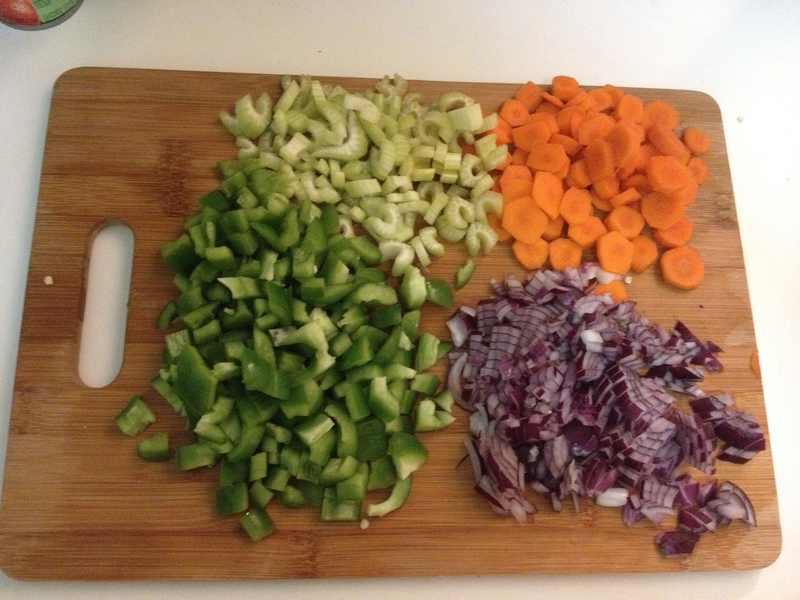 While vegetables are cooking, mix spice blend. Use half the mixture with the scallops and set aside. The remaining half will be reserved for later. 3.) 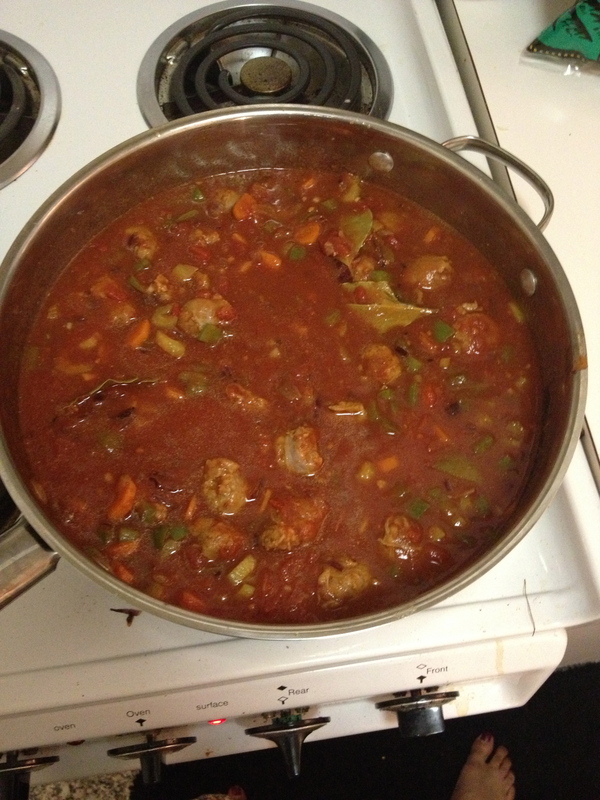 Add minced garlic, chorizo, and other half of spice mixture to the veggies. Mix well until combined. 4.) Add tomatoes, stock, bay leaves and Worcestershire sauce to the mixture and bring to a gentle boil. 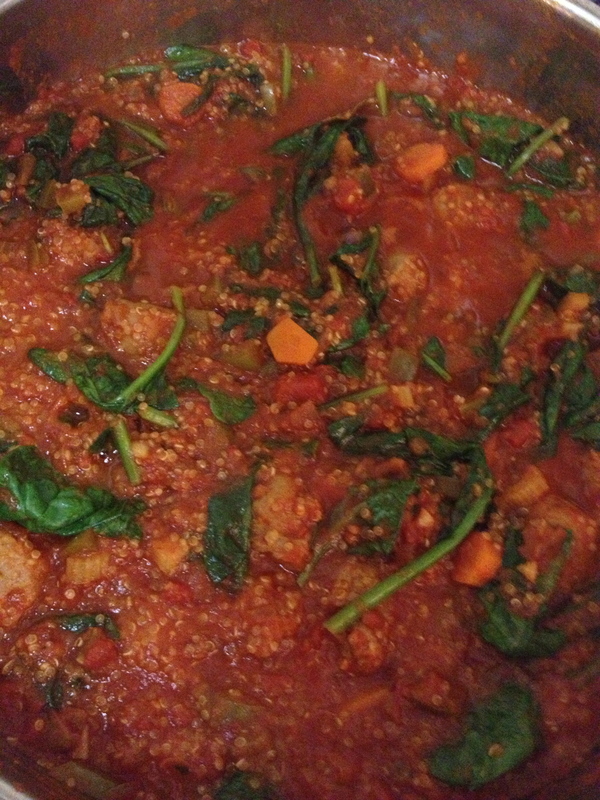 Next, add your quinoa and spinach and cover for 20 minutes. Stir occasionally. 5.) While quinoa is cooking, hit 1/2 tablespoon of EVOO in a separate nonstick skillet. 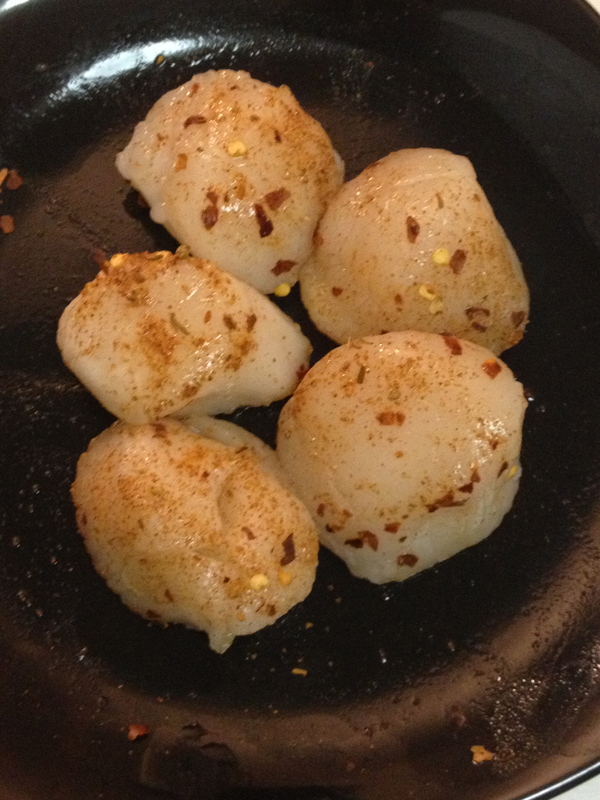 Sear the scallops for 2 minutes on each side. 6.) Serve up a bowl of jambalaya and top with scallops. 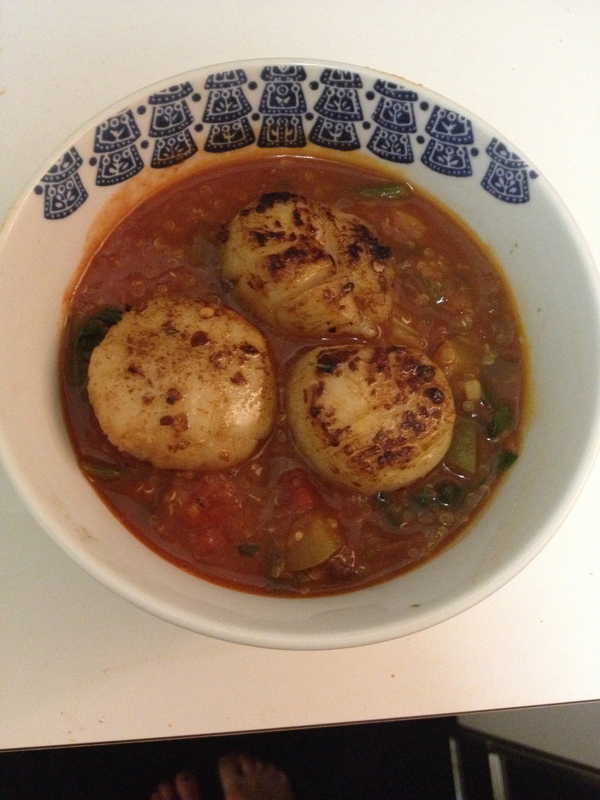 I was feeling indulgent so I ate 3 scallops this time around instead of 2. I would definitely take this to work the next day minus the scallops. Seafood is much better fresh and not zapped in the microwave. Have you fallen in love with quinoa yet? What ingredients do you add to to your recipes to make them have an extra kick?